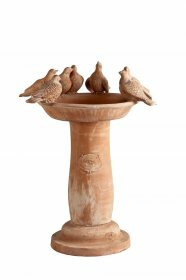 Inside our site you will find all the charm of the real Terracotta manufacturing. Our Company is in Tuscany, the beautiful Italian region. From the simplicity of elements such as soil, water and fire, takes its origin a unique and special material that goes beyond every age and lives in the architectural choices of ancient and modern times, in harmony with every style and space. 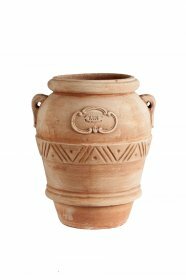 Only a high quality material such as Impruneta marl can give life to the Precious Tuscan Terracotta which is appreciated all over the world and created for many different uses. 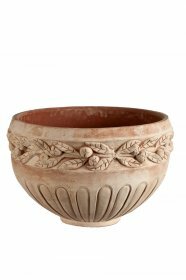 The fine Tuscan terracotta of our company has the particular aesthetic appeal of artistic hand-made terracotta and the resistance qualities that make it an excellent product for the construction and for interior and exterior furniture design. 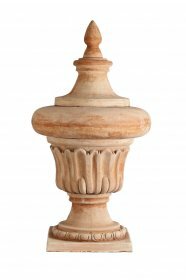 Our production includes the classical forms of the Tuscan tradition, but also some new and more original creations that are adaptable to various situations. 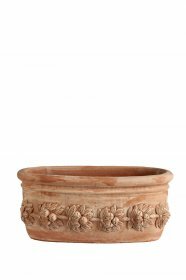 In addition to the characteristic flower pots, in fact, our sample was enriched with Terracotta floors, fountains, vases and columns, urban objects and a collection of home items such as tiles, tables, lamps, picture frames, bas-reliefs, party favors and unusual gift ideas. 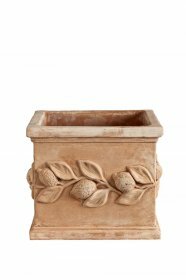 In particular, the terracotta floors maintain a healthy and breathable space, where you can freely walk, even in bare feet.